Get daily 16 latest current affairs and news headlines in English. 1. 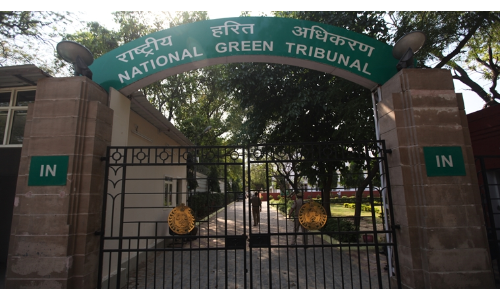 Stating that scientific disposal of e-waste is an important factor for protecting the environment, the National Green Tribunal (NGT) has directed the Ministry of Environment and Forests (MoEF) to submit an action plan on e-waste management within three months. 2. The State can stop government doctors from taking voluntary retirement in public interest, the Supreme Court has ruled. 3. Grrece has exited its third and final bailout since 2010, having borrowed €289 billion ($330 billion) from a ‘troika’ of lenders, the IMF, the European Commission and the European Central Bank, over a period of eight years in order to retrieve itself from the brink of financial collapse. 4. The Fields Medal, popularly seen as the equivalent of a Nobel Prize, is awarded once in four years to two-four mathematicians below the age of 40. In its long history, no woman had won this medal until 2014 when an Iranian, Maryam Mirzakhani, won it for the first time. No Indian has yet won it although it was also in 2014 that for the first time an Indian-origin Canadian-American mathematician, Manjul Bhargava, was awarded. In the recently announced prize for 2018, an Australian mathematician, Akshay Venkatesh, was awarded. He too happens to be of Indian origin. This refers to social behaviour that is solely focussed on the economic well-being of the family. Societies based on amoral familism are not concerned with using collective action for the good of wider society. The idea was proposed by American political scientist Edward C. Banfield in his 1958 book, The Moral Basis of a Backward Society, as an explanation for why certain societies have failed to achieve economic progress. This is in contrast to the popular view in economics, famously expounded by Scottish economist Adam Smith, that individuals focused on improving their personal economic condition also help their societies grow richer in the process. Get daily news headlines and 16 latest current affairs to crack all competitive exams with The Tutors Academy. 6. Pawan Chamling is the State’s longest-serving Chief Minister, who has been elected CM five times consecutively since December 1994. 7. Senior Congress leader and former Union Minister Gurudas Kamat died of a heart attack. Mr. Kamat was removed as the Gujarat in-charge of the party in 2017 by Mr. Gandhi, who replaced him with former Rajasthan Chief Minister Ashok Gehlot. In response, he had quit from all organisational posts in the party. 8. India has said a polite ‘no’ to offers of foreign assistance to the Kerala flood victims. The Ministry of External Affairs (MEA) in a statement said India will rely on domestic resources for the State’s ongoing flood relief efforts. 9. Under new norms, cities and towns wanting to be declared ODF+ (Open Defecation Free Plus) must also be free of public urination and not just open defecation. This is the first time that the Swachh Bharat Mission (Urban) is officially including the elimination of open urination in its agenda. The rural division of SBM had previously said preventing public urination was not on their agenda. The Mission is focussed on infrastructure and regulatory changes, on the assumption that this will lead to behaviour change. The ODF+ and ODF++ protocols, which were released by the Ministry of Housing and Urban Affairs last week, are the next step for the SBM-U and aim to ensure sustainability in sanitation outcomes. 10. 37th annual Brahm Prakash memorial lecture organised by the Indian Institute of Metals and the Indian Institute of Science. Brahm Prakash was a renowned metallurgist and former director of ISRO’s Vikram Sarabhai Space Centre, Thiruvananthapuram, in the 1970s. 11. Quad countries discuss ocean security. The Quad grouping is one of the many avenues for interaction among India, Australia, Japan and the U.S.
13. The International Court of Justice (ICJ), based in The Hague, will hear for a week in February the case of Indian national Kulbhushan Jadhav, who was sentenced to death by a Pakistani military court on spying charges, a media report said on Wednesday. Jadhav, 47, was sentenced to death last year. Pakistan claims that he was arrested from Balochistan. 14. 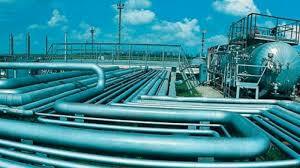 India has sought renegotiation of the natural gas price it is to source through a proposed $10 billion Turkmenistan-Afghanistan-Pakistan-India (TAPI) pipeline due to slump in global energy markets. The four nations had in 2013 signed a gas sale purchase agreement (GSPA) that bench-marked the price of natural gas that Turkmenistan is to export at 55% of the prevailing crude oil price. This translates into a price of about $7.5 per million British thermal unit (mmBtu) at current oil prices at the Turkmen border. Gold: Rahi Sarnobat (Shooting, women’s 25m air pistol). Bronze: Roshibina Devi (Wushu, women’s 60kg), Santosh Kumar (Wushu, men’s 56kg) Surya Bhanu Pratap (Wushu, men’s 60kg) and Narender Grewal (Wushu, men’s 65kg). Meaning – Not allow to be seen; hide. Meaning – Prevent (something) from being known; keep secret. Get daily, 16 latest current affairs and news headlines. To crack all competitive exams with us.